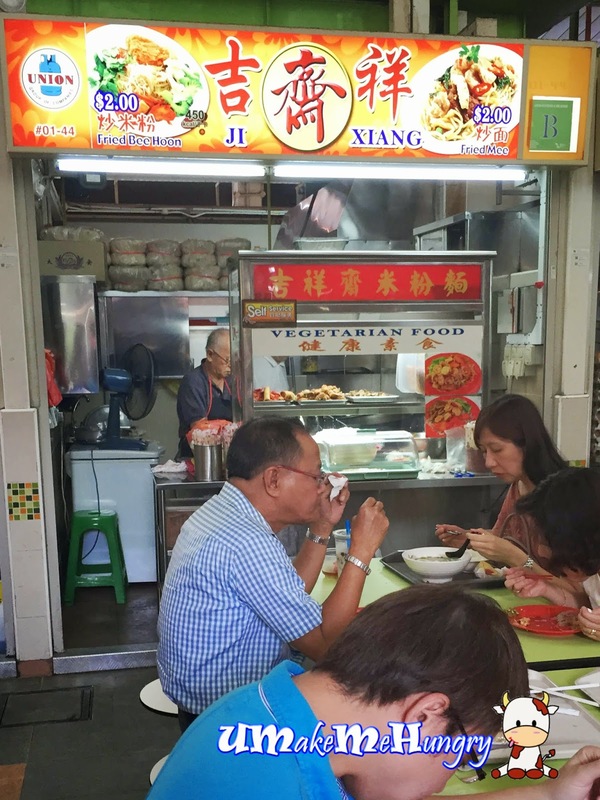 Opted for their fried Bee Hoon over the Fried Mee with a pocket saving $2 meal from Ji Xiang was comparably the most economical lunch I can find in Clementi 448 Food Centre. The stall has abit of history in the market and is operated by 2 elderly folks. The usual fix portion of vegetarian meal is rather standard with their ingredients with common french beans, mock meat and crispy items. 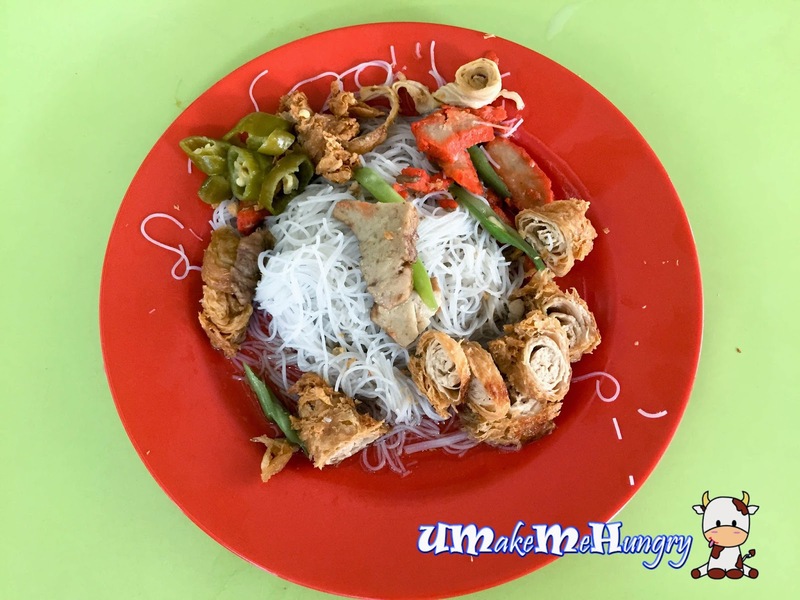 Ji Xiang's Bee hoon was plain white without flavour if not for the braised gravy added. For $2, the price does speak about its portion. 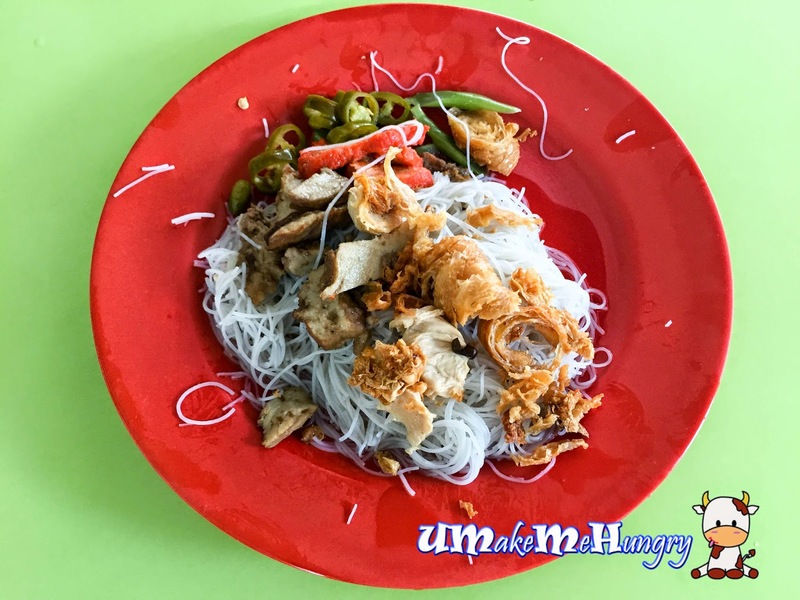 If you need more energy for the day, you are welcome to get a bigger portion at $3 with more Bee Hoon and ingredients. Additional mock meat from the vegetarian stalls can be added too. Just in the plate below, we have added the crispy mock prawn. Look at the crispy spiral shape items on the plate, this mock prawn was being cut into smaller pieces. All in all, Ji Xiang offers a competitive pricing for meal and if I'm looking for something simple and budget there, it will be my choice.